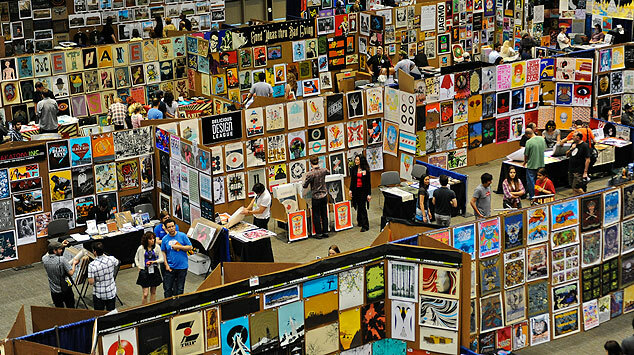 THIS THURSDAY – SATURDAY 3/17-3/19, Nakatomi will be at the annual Flatstock poster exhibition at SXSW! We’ll have a TON of prints new and old there, along with some prints that have not yet been released to the general public! Artist Tim Doyle and the Nakatomi print crew will be there in attendance all 3 days! As always, FLATSTOCK is held at the Austin Convention Center off of 4th street, and is FREE TO ATTEND! YES- FREE AND NO BADGE REQUIRED, JUST FREAKING COME ALREADY! ← UnReal Estate: THE BOOK- Now on Nakatomi!